My main goal for the month of April was to make 2 quilts for our friends in Mineral Wells and I completed them before Easter. Bobby and Belinda received them on Good Friday. I was able to start on Robin’s Nest after Easter, but ran into many issues with the pattern, but as of today, the Medallion is completed (still need to sew the second ring of Stars together) and will be ready this next week to applique to the background. Then on to the rest of the quilt. My goal for May on this quilt is to slowly progress to ensure that it turns out perfect with no further issues to have to deal with. I am working on another project called Nesting. I finished one block this month. There are only 4 blocks but they are large and then a large appliqued border will need to be done. IF I can complete it in June, I will enter it in the San Antonio Show in September. If not – then there is always another show in 2018! It will be hand quilted. I will put this project in line for my May projects. Still working on Brinton Hall. I have one more section for the top to hand stitch hexagons and then the real fun will start. I will also put this on the May list. Have a great week of sewing! ← Success on Robin’s Nest! 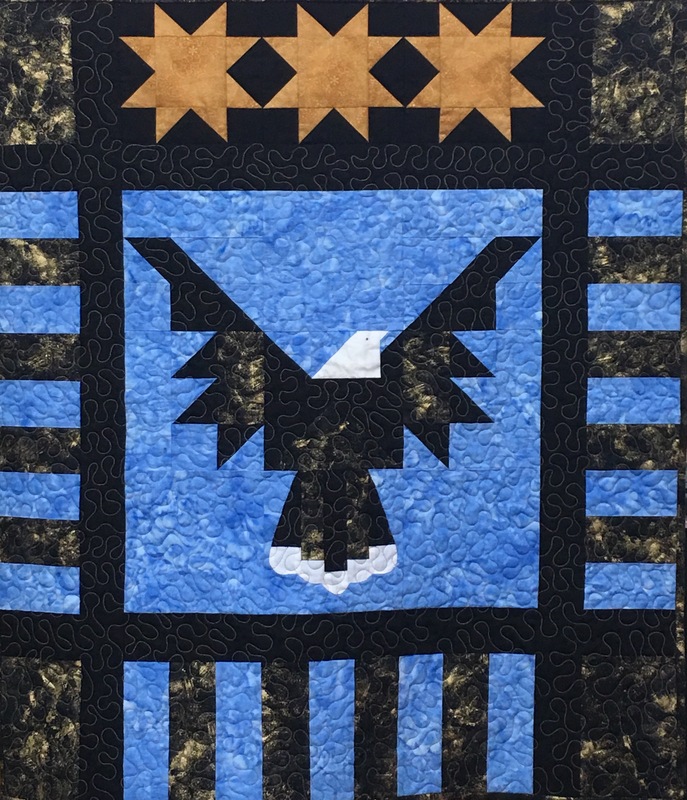 Congrats on finishing your two quilts! The medallion is beautiful–love it! Thank you. I am putting it aside for a few days before I start putting the 2nd ring together. Clear mind is required to work on this quilt! Robins Nest looks great! So glad you were able to fix the problems! Took me some time, but worth it -at least I am not giving up on it – just taking a 2 day break. The medallion looks fabulous! Well worth your efforts! Thak you Laura. 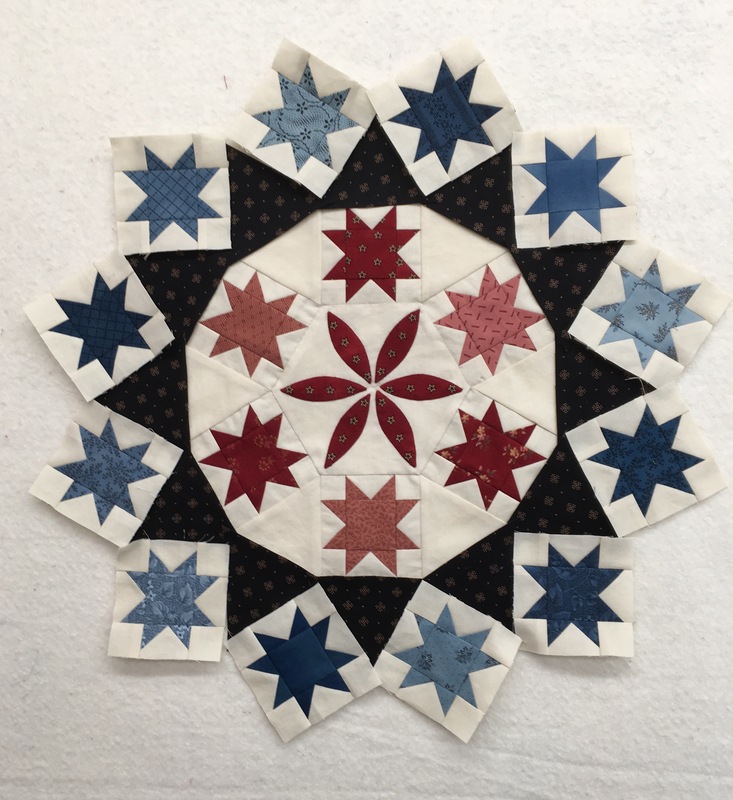 Yes I am determined to make this quilt but the break is necessary – I really did a push on the 12 blue stars and think I will applique today! The medallion is perfect! I hope the rest of the quilt goes together now without anymore problems. I am betting that there might be a few, but not now I know what to check out before I continue on! Glad to have you back from that wonderful retreat! You have patience. I don’t know that I would have stuck with the star design you are working on. You had so much frustration. Did you get a reply from the designer? I guess I have more than I ever thought I would, but I am driven when there is an issue to figure out where the mistake is – either me or the pattern. I have not received a reply from the Designer on the problem with the hexagon. But I have learned a lot from this pattern! Pat Sloan and Lynette Jennings are the only two Designers that I know that put out a pattern that does not have to be remade! They have some great pattern testers. I would love to be one! Robin’s Nest is looking fantastic! Thank you so much for sharing it on Midweek Makers! Thank you. That was a grueling two weeks working on pattern problems and bias issues but it is ready and waiting on me to continue. It took about two grueling weeks with bias issues and pattern problems but I got to this point. I am taking a few days away from it. Maybe tomorrow I will get the blue ring sewn and attached to the red stars! Wow – you’ve been very busy. 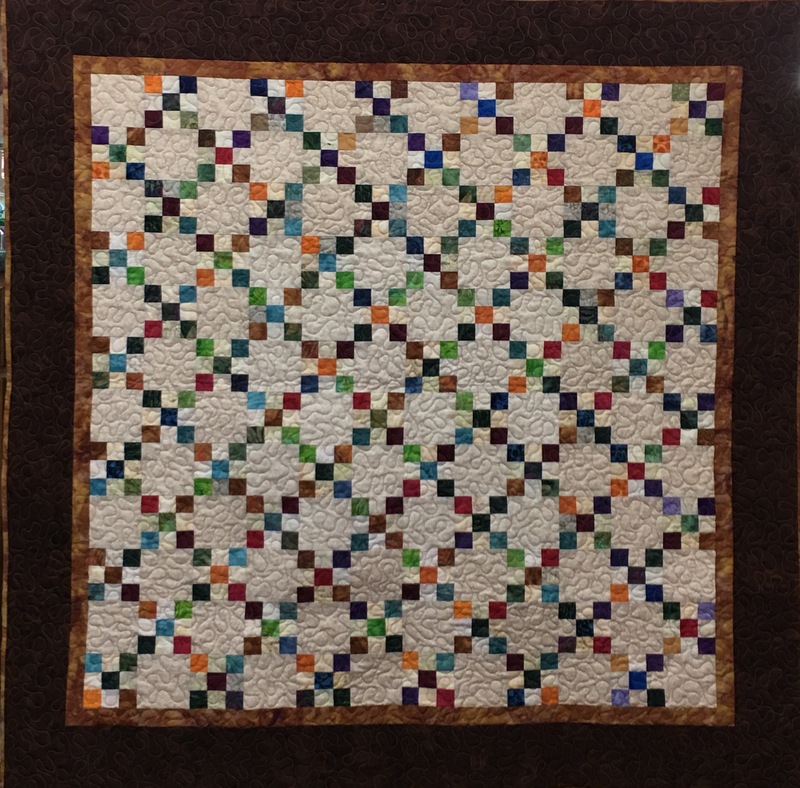 Your Medallion quilt is going to be amazing – way beyond my scope!